So we’ve been away for just over 3 months now and so we thought it might be good to do a short review …. Making the decision to sail away wasn’t a quick one as there was/is so much to consider such as health, wealth & happiness, that said we have no regrets. We look back to where we were and remember getting home from work to sit down for dinner followed by the great british soaps Emmerdale, Coronation Street & Eastenders then realising the evening had disappeared…. bit like groundhog day, especially in the winter when there’s little to do! We are so lucky now, sure we have a big television onboard and see foreign channels or watch movies but feel no longer chained to it. We wake up each morning to a new adventure and meet new people almost every day…. and we socialise with them. These are interesting people with like minded attitudes and become friends we know we’ll see again as we follow similar routes. Of course there are 3 of us onboard and we don’t get along all the time, I’m sure at some point there has been thoughts of mutiny but it passes (I think/hope). Silhouette is not a small boat but she is home to 3 personalities!!! 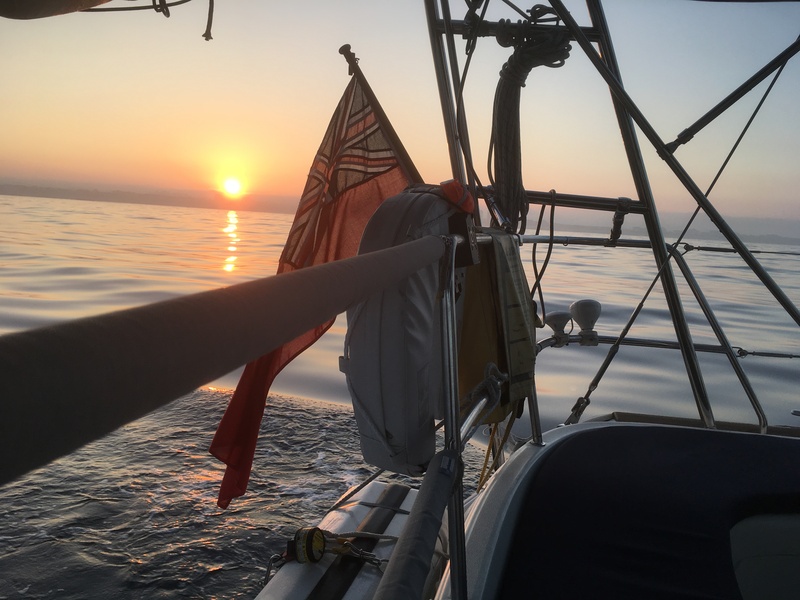 We have been surprised at the amount of motoring we’ve done, too much in fact as there has been either too little or just too much to safely sail on. We knew we’d spend considerable time in marinas this year and the prices so far have been as expected so no real surprises there. Food shopping in France was more than the UK, Spain was much cheaper including eating out, as long as it’s where the locals eat. So far Portugal seems to be the same as Spain as long as there’s large supermarkets or local markets around. We have been surprised at how few ARC yachts we’ve seen. To date the count is 5 out of about 300. We wonder if we’re too early or too late? 3 months has gone in a flash and we have seen so many places we would never have had we not set off on this adventure. One thing we all agree on is our favourite place to date was Vannes in the Morbihan. Such a stunning medieval town with the marina smack in the middle, the “very” narrow entrance was worth it. We are very lucky to be able to do this. Many have this dream but few get to actually set off & live it. If you think you can, you can! Previous Previous post: New courtesy flag!